Box with protective polyfoam in strong carton .also according to your requirement. 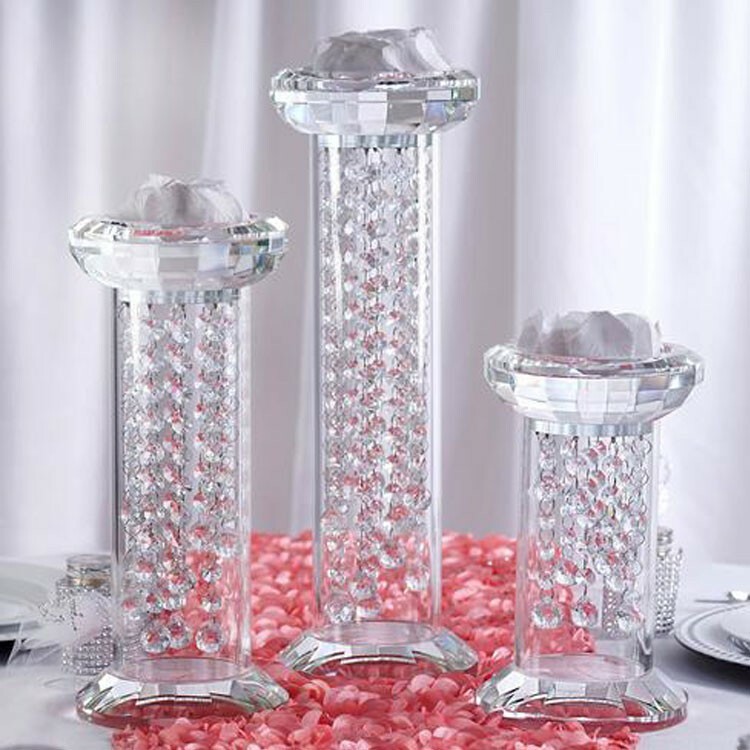 Our candle cup all made by high quality crystal ,and after our strict production procedures and strict inspect, to make sure our customer can received our best quality products. 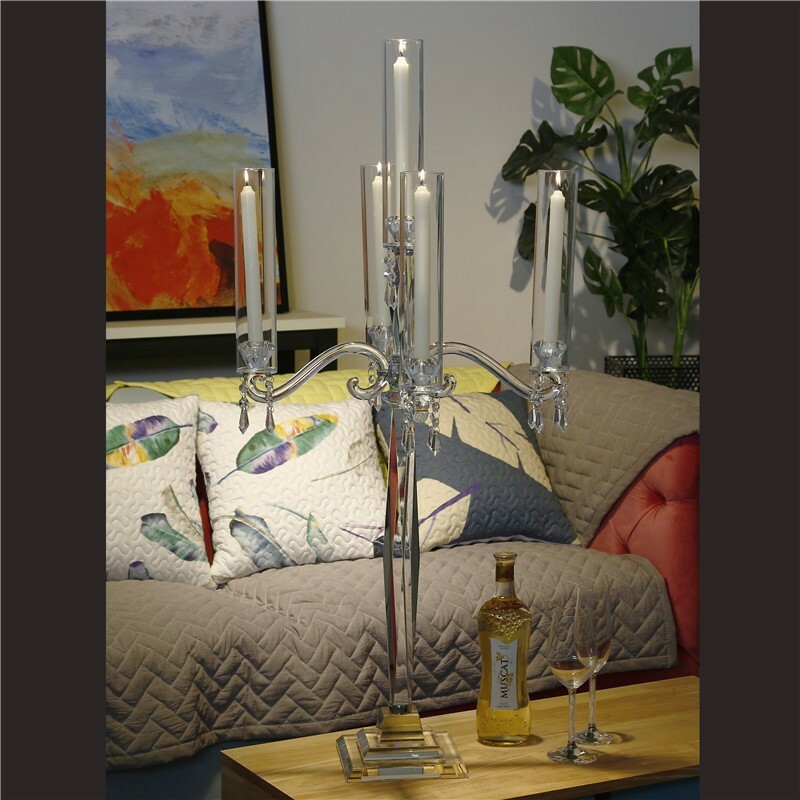 Our candle bass all made by high quality crystal ,as the picture shows our arms are not the normal arms in the market, our arms are all strict polishing to reflect the luxurious quality of our products. Crystal candelabra, which is made of K9 crystal material, with the fashion and European style design, mainly used for wedding /home/party/hotel/bar decoration, gives you a truly grand and elegant impression. 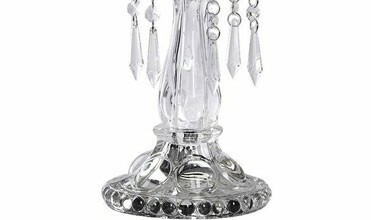 This luxurious K9 crystal candelabra has many facet cut crystal prisms all around the candle holders. Foot, base and part of the candle holder also have grindings to give off extra beautiful reflections and lots of shimmering light. 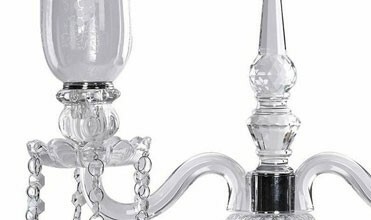 The detailed candle holders are designed for regular candles and the steady foot is provided with a protective cover underneath. In sunlight, you'll see beautiful sparkling reflections in all the colors of the rainbow. 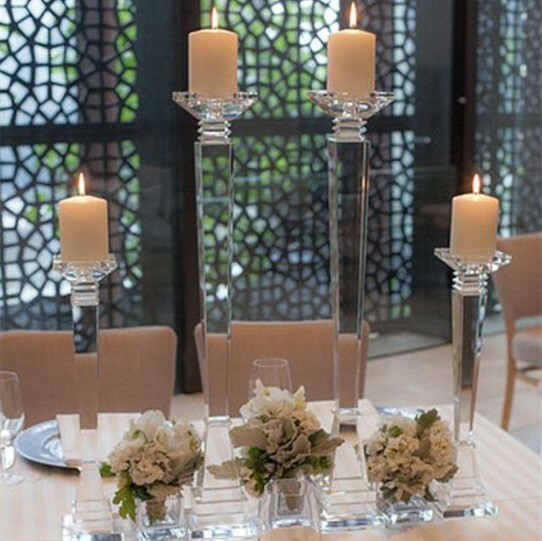 In candlelight you'll see full of light, full of warmth, full of love. 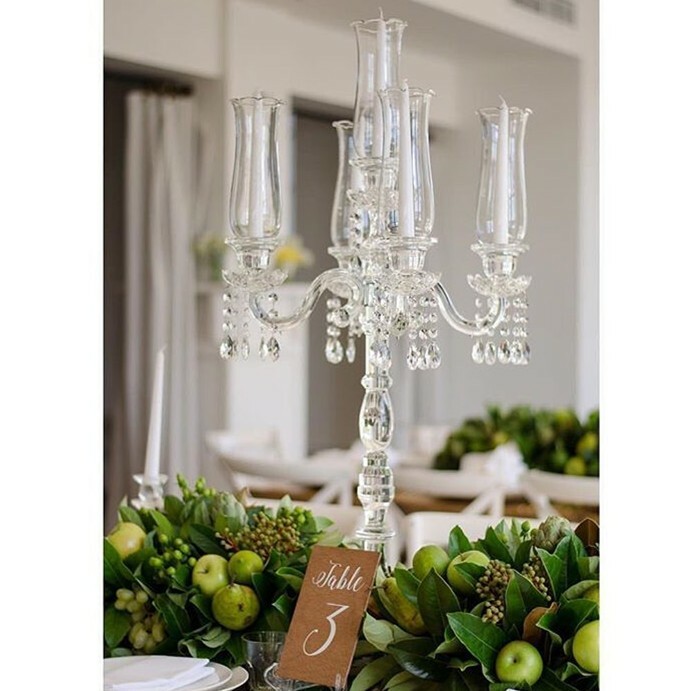 This candelabra lit with candles, for home decoration gives your room a very elegant shimmery feel, for wedding decoration gives your wedding a romantic and warm elements , now it is becoming more and more popular. 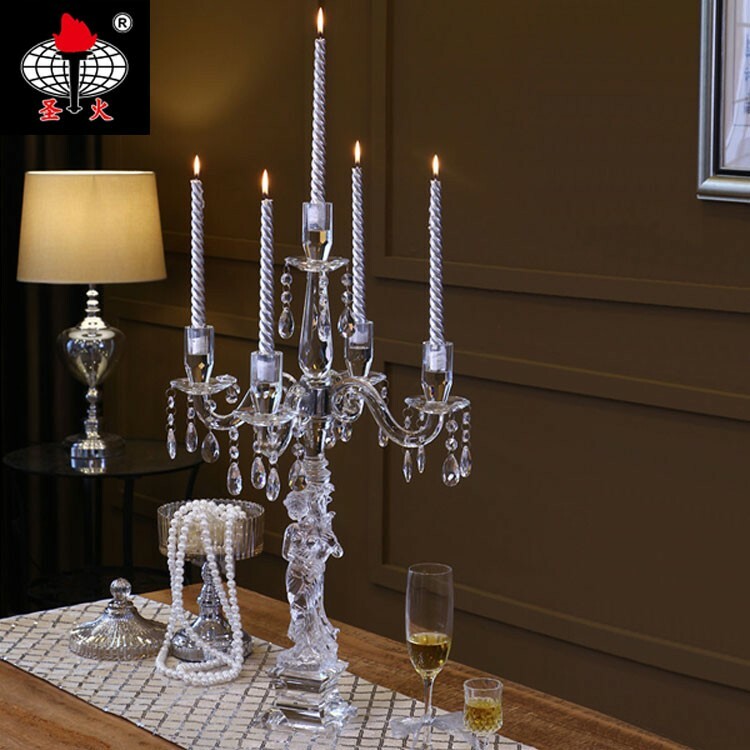 With this candelabra you will get a fantastic decor detail that guaranteed enhance the atmosphere and your interior design. 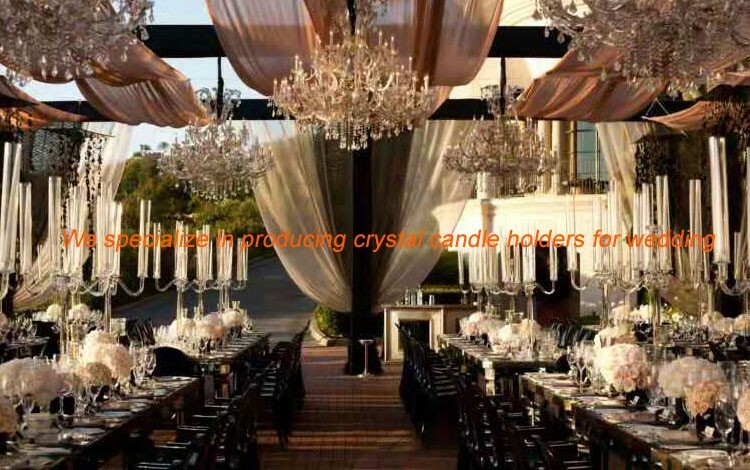 Pujiang Shenghuo Industry And Trade Co., Ltd.
has more than sixteen years of professional production of crystal wedding decorations candle holder experience. 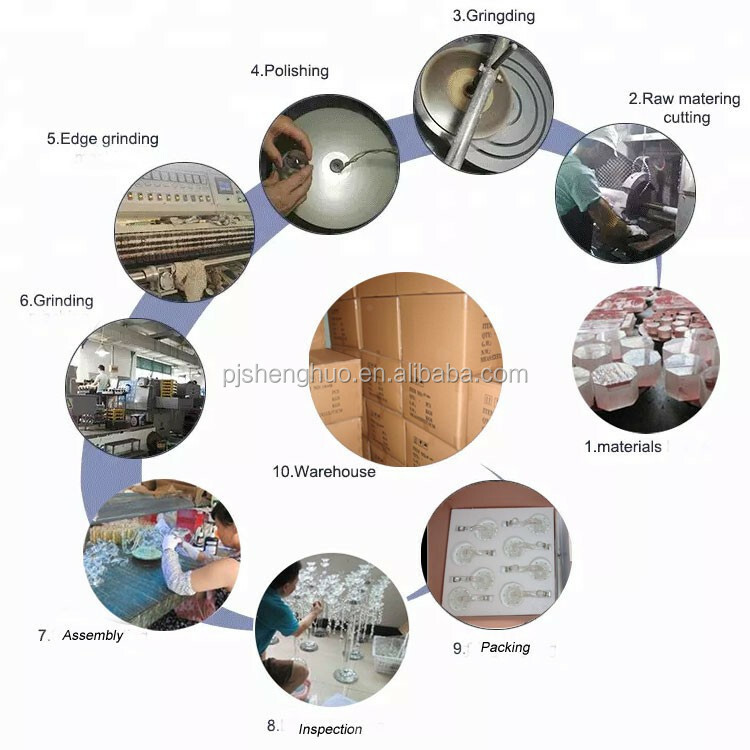 We owns experienced design team, strong product development capability, having developed a series of novel style and unique products. 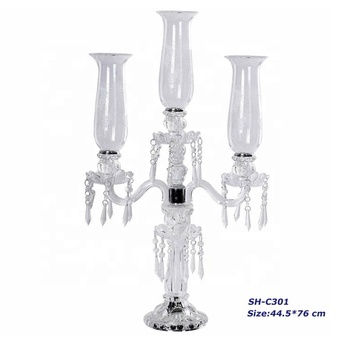 At present, it mainly products are crystal decors and gift for different occasions and purposes, like crystal candelabra, flower stand, candle holder, and so on. 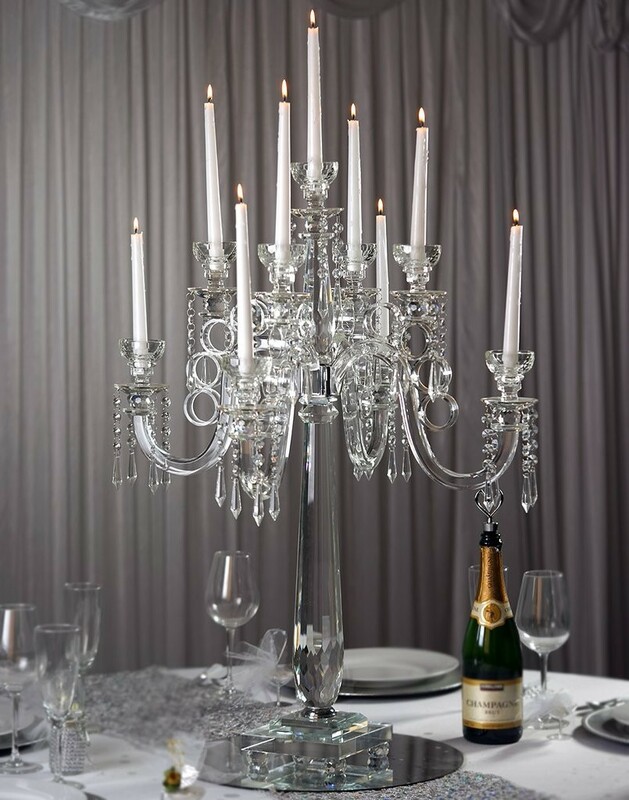 And we always aim for "pursuit of quality, to create an international brand", providing you with world- class crystal candelabra, perfect quality of service coupled with comprehensive technical support for you, to create new field of crystal item. is an enterprise combining development , production and sale as a whole. We have the ability to export, the products sell well in the world. 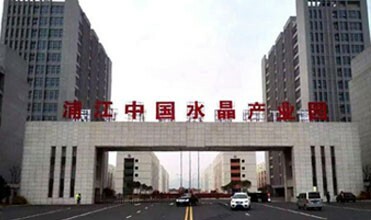 Our company basic aim is try our best to create win-win situationwith our business partner based on three important business philosophies, which are reliable quality, the lowest price and speedy delivery. 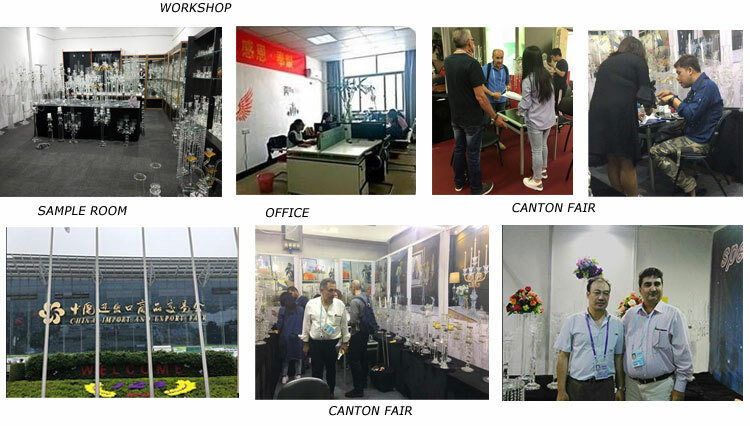 We sincerely hope to enter business with the clients from all over the world. We welcome all customers from at home and abroad to send us inquiries or visit us . Q. Whats is your payment terms? A: Bank transfer,west union,trade assurance,L/C all acceptable. 30% balance,balance paid before shipping. Q: Could you provide free sample? A: We will not provide free samples,but after make order will return half sample fee. A: Normally is about 10-15 days after receive payment.Also depends on quantity & designs. Question 2: Can you make our own logo or image on the crystal? Need extra cost? Answer 2: Yes, your OEM logo such as words or image are welcomed. Question 3: Is the size the actual dimension? Can we change the size? 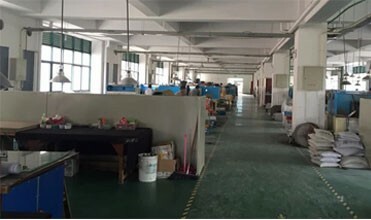 Answer 3: Yes, we have factory, so we can according to your need customize. Question 4: Is the price on website the last quotation? Can we bargain? Answer 4: yes, we have own factory, so we can give your favorable price.. Question 5: Is the goods safe during the transport? How is your aftermarket service? Answer 5: Yes, it's very safe during the transport, as we protect the goods just like our baby, the packing box filled with foam and sponge. If there is case of broken during transport, pls contact us in time, we will give you our best service.